May the Fourth Be With You, Celebrate ‘Star Wars’ With Cake! It’s May the Fourth so it’s time to celebrate all things Star Wars. Wear that Jedi robe to work, break out your lightsaber, and start a battle in the lunchroom with that guy from accounting who you really hate. You may lose your job, but wouldn’t you love to pop that jerk on the head with a lightsaber? When you get fired, you can console yourself with a cake like this one from Cakes Cove. 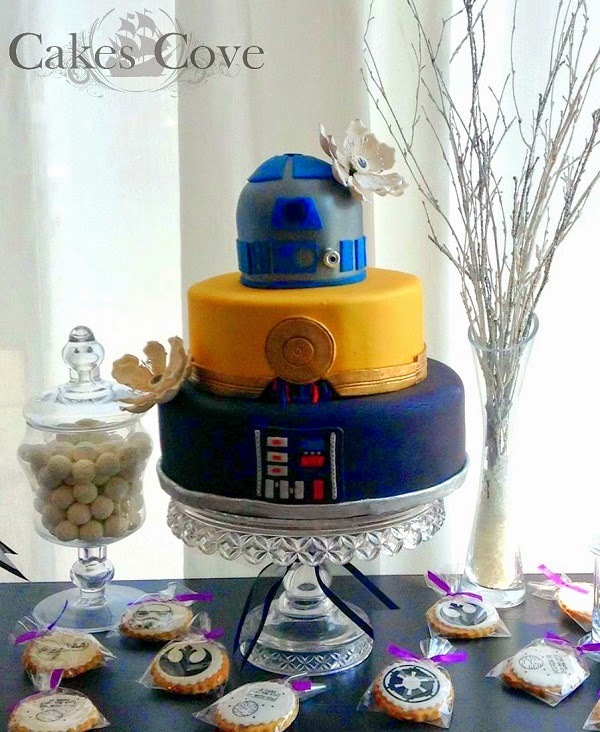 The incredible nerdy bakers over at Cakes Cove make all sorts of nerdy cakes and treats. They’ve made a horrifying Halloween cake and even a chocolate Millennium Falcon that both looked delicious. 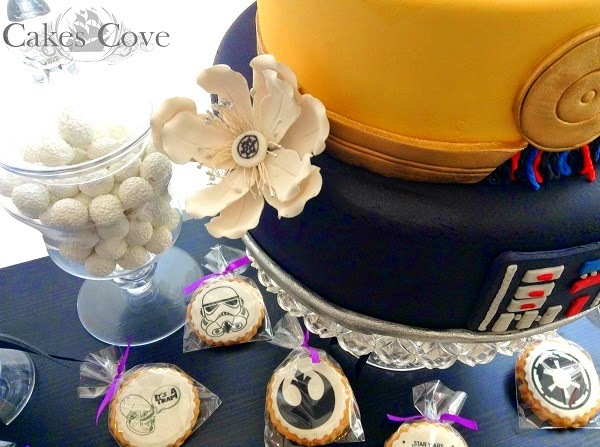 This time, it’s a Star Wars wedding with three-tiers and cookies to match. The base is Darth Vader, the middle is C-3PO, and the top is the little domed head of R2-D2. Look closely and you’ll see that the centers of the flowers are Imperial and Rebel logos. Not a detail was missed. 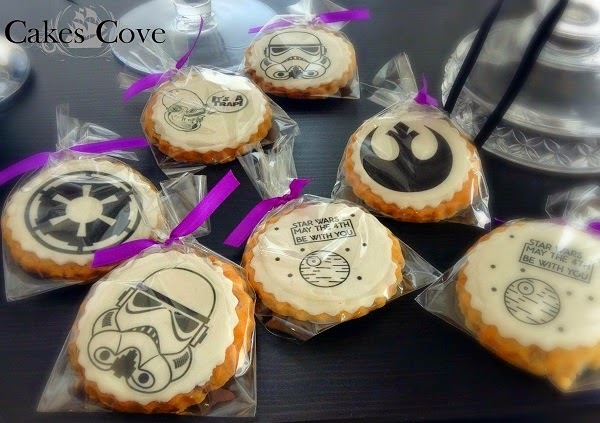 There is also an assortment of Star Wars cookies that cater to every allegiance. There are Rebel and Imperial logos to match the flowers, stormtroopers, the death star, and even good old Admiral Ackbar uttering his most famous phrase. If these cookies are a trap, then I’ll gladly be caught by Cakes Cove.